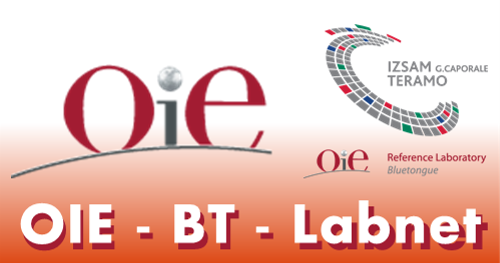 Bluetongue is a notifiable disease as designated by both the OIE and European Commission. As such there is a requirement to notify the relevant national authority if an outbreak occurs. This will then be reported back to the OIE/EC. The European Commission lays down a number of measures to control and eradicate bluetongue disease in Europe. These measures are outlined within Council Directive 2000/75/EC this includes a combination of approaches including: using vector control (insecticides and repellents); vaccinations of livestock; restrictions to animals, restriction zones and import controls; active monitoring and surveillance zones. 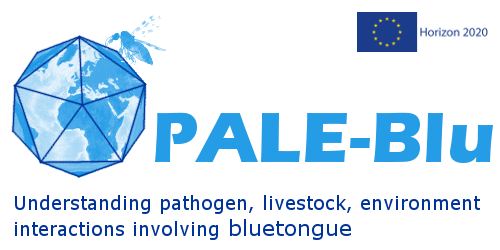 The PALE-Blu projects research will build on existing data and the expertise of the consortium to further our knowledge and understanding concerning the biological interplay between BTV, its vectors and host(s), the possible roles of the vector’s microbiota, and reservoir species. This knowledge is key to understanding the mechanisms and pathways of virus transmission and movement into Europe, as well as the processes of infection and replication that determine progression and spread of disease outbreaks. The data generated will provide a basis for development of effective control and prevention strategies, as well as providing evidence to support policy decisions. There is a growing body of evidence on the capacity of infectious agents to evolve and circumvent host immune-reactions or treatments and profit from environmental niches; this presents a real challenge. Although modern tools facilitate tracking of BTV strains, we still need to extend our knowledge of host/vector reactions to infection and how we can use these to develop better control and prevention strategies, including diagnostics, vaccines and antivirals. Our research will provide opportunities to increase the biosecurity status of livestock, for both sustainable production and safe trade. The identification of variants of individual viral genes and proteins that restrict BTV infection and replication in different vector populations, insect and mammalian species, or support horizontal transmission between vertebrate hosts, will help to identify risk factors and genetic markers for virus spread and disease outbreaks in different regions, including different areas of Europe. This will in turn help to identify and target appropriate control and prevention strategies, including vaccination campaigns.